Are you someone who just loves broccoli, but only eats the florets? Many people are like this and often throw away the broccoli stems or pieces of the stalk. This may be ok if you are putting your leftover food in a compost pile, but there are other options to consider. 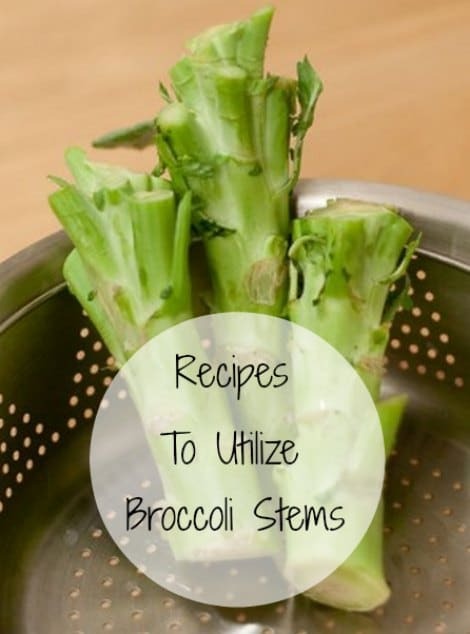 The way you use broccoli stems depends on how the broccoli was prepared. You can use fresh broccoli or broccoli that has been frozen. Fresh broccoli will typically have some of the stem left you can use to prepare other recipes for a tasty meal. You might be surprised to know that broccoli stems have the same flavor as the floret. Pieces that you cut can be added to a stir-fry recipe or even a salad. All you need to do is cut them into small pieces for the meal you want to prepare. This is similar to cutting up stalks of celery.